Will you be adding these blindingly bright Fila Disruptor II Yellow sneakers to your rotation? The king of dad trainers, the striking Fila Disruptor is back with a bang to bring some colour to the often dreary British weather. Crafted from a tangerine-hued leather and synthetic upper, the profile is striking and instantly recognisable. 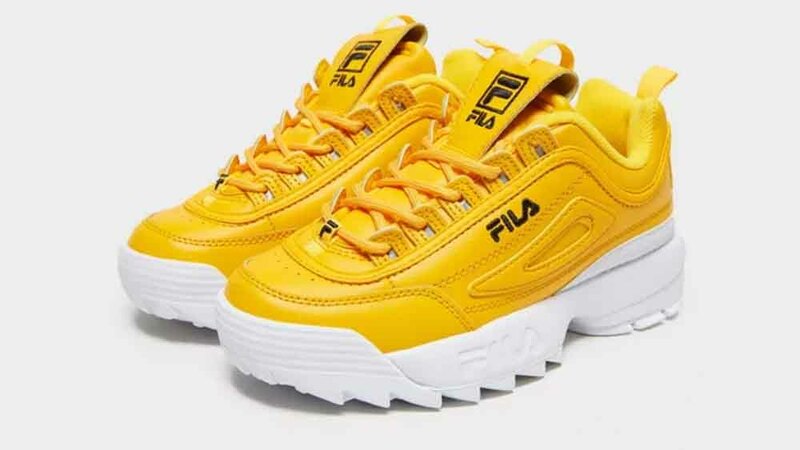 Sporting chunky tonal laces that snake through raised eyelets, they’re bringing hiker chic to these retro-inspired beauties. 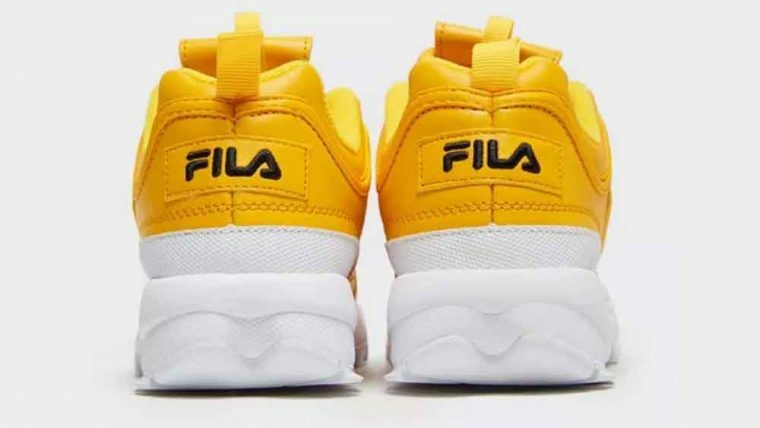 Slick Fila branding features on the outer sidewalls, at the top of the tongue and the bottom of the eyestay. 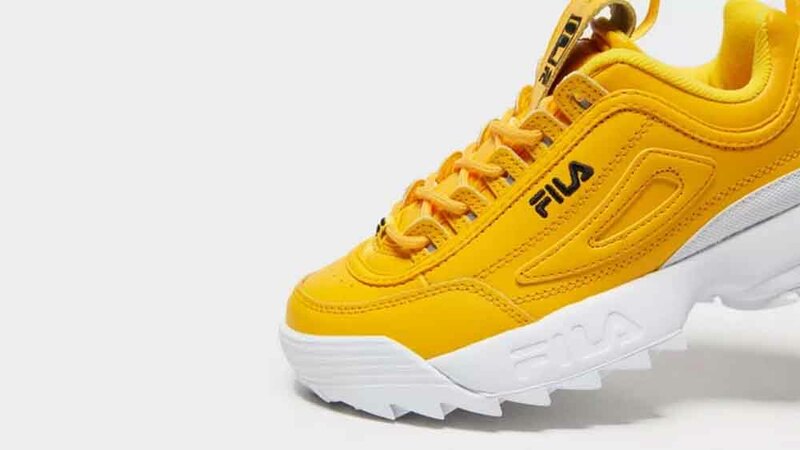 Underfoot, the signature disruptor midsole in white EVA gives the silhouette its distinctive stomp. More Fila branding is de-bossed into the side of the the sole, while a rubber cleated outsole with deep treads will keep you feeling sharp! 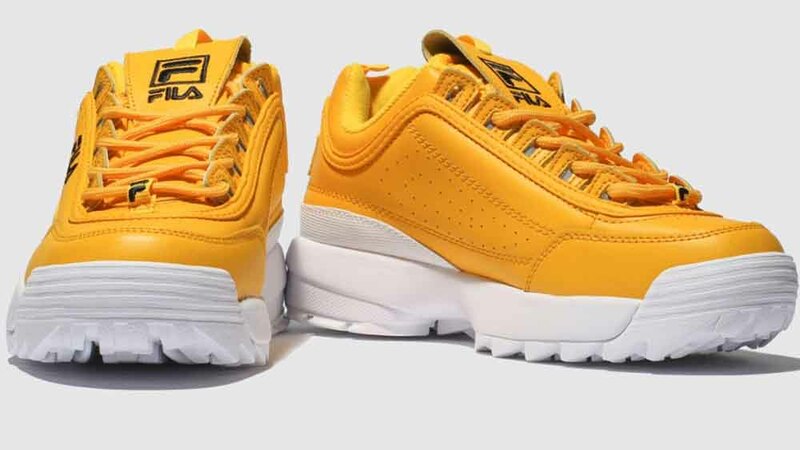 Style with near in anything – baggy cargo pants, sporty leggings, or even cycling shorts. 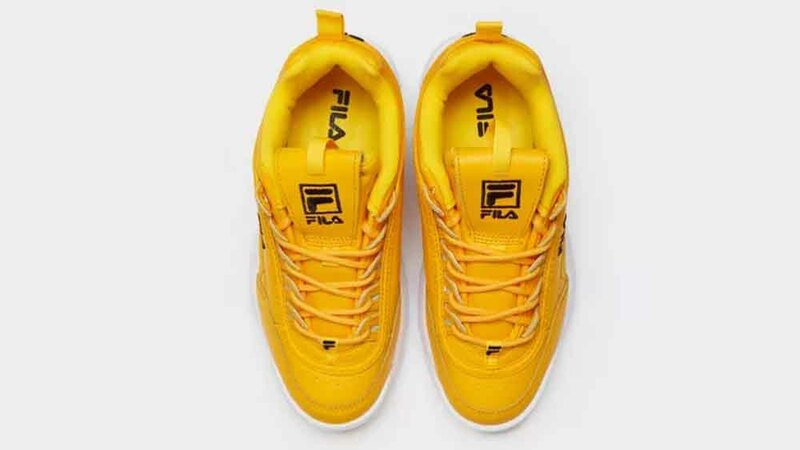 If you’re feeling the Fila Disruptor II in Yellow, check out the stockists linked on this page to cop a pair for yourself! 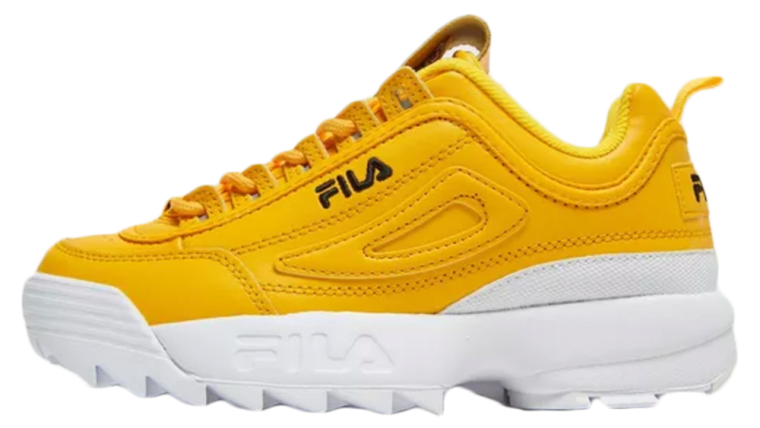 You can find more Women's Fila Disruptor Trainers Release Dates here!